Super Smash Bros. Ultimate is finally here, and it’s yet another jewel in the crown that is the Nintendo Switch. 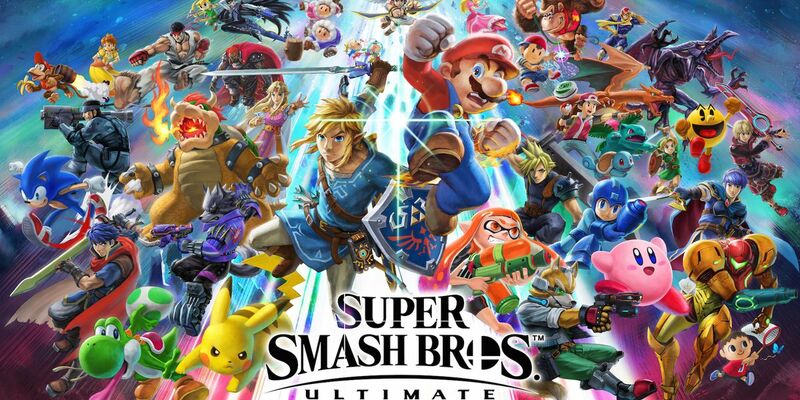 Although it may be premature of me to say this, given I haven’t tried out all of its modes yet, but Ultimate may very well be the best Super Smash Bros. title yet. Like any sequel to a multiplayer title, the gameplay hasn’t exactly changed much, but something about it definitely feels smoother. It just feels right to control. It’s hard to explain, but it seems like every returning character I’ve tried feels more fluid to control than they did in past games, and the newcomers are just as smooth. The gameplay may be the series’ trademark “sumo rules” take on the fighting genre, but it just feels so polished. Another big improvement over past games is the Classic Mode. As much as I appreciate Super Smash Bros for 3DS/Wii U trying to make Classic Mode into something bigger, it never really enticed me to try it out with every character. 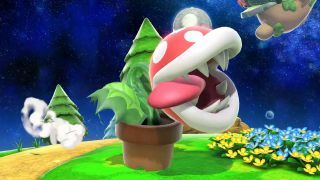 But here in Ultimate, I find myself wanting to complete Classic Mode with every new character I unlock. The beauty lies in its simplicity, as Classic Mode sees each character go through six fights, a bonus stage and a boss enemy, with each character’s opponents being vague (or literal) little callbacks to their own games. For example, Ryu’s version utilizes stamina rules to reflecting the traditional fighter nature of Street Fighter. Meanwhile, Mega Man’s journey ends with a battle against Dr. Mario who, once defeated, becomes Mewtwo, subtly referencing the final fight against Dr. Wily in Mega Man 2). And in perhaps my favorite example, Dr. Mario’s fights are against triple opponents, with each bearing a red, blue and yellow color scheme in reference to the viruses from the classic puzzler. It’s just simple, fun and addictive. Admittedly, the Adventure Mode, dubbed ‘World of Light’ is one I have yet to play. I’ll get around to it, but honestly, Brawl’s Supspace Emisary story mode was kind of a glorified means of unlocking every character. So I’m not exactly rushing into the story mode when everything else is already so much fun. So no opinions on World of Light for now. Much to my pleasant surprise, it was actually really easy to play against my friends online! I know, that seems shocking considering this is a Nintendo game that isn’t Mario Kart, but playing against friends is actually accessible. That alone gets huge brownie points from me. I also haven’t experienced any lag issues when playing against opponents on a broader online scale, so that’s also an improvement from its predecessors. I have heard some people say the specific searches for quick online matches aren’t very accurate (one-on-one proponents experiencing repeated multi-man matches and such), but I haven’t tried that myself yet so I can’t comment. But the sheer easiness of playing against friends alone feels like a godsend, given all the hoops you usually have to jump through for such features in Nintendo games (I’m looking your way, Splatoon 2). Then, of course, we have the characters. The title’s main selling point is that every past fighter from Super Smash Bros’ history is present. And with a small batch of newcomers, as well as ‘echo fighters’ we have about 70 characters (depending on how you count Pokemon Trainer). That’s a pretty hefty lineup of characters. 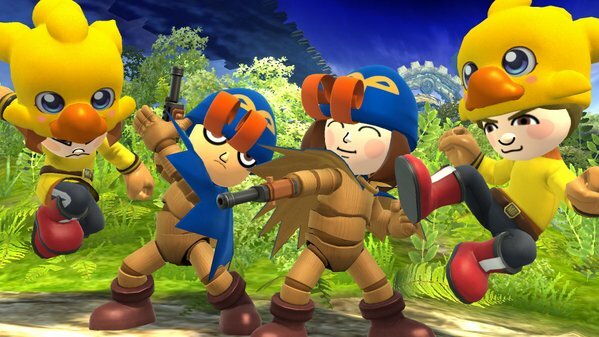 And while the roster isn’t perfect (Geno isn’t in it), there really is such a wide variety of characters that, no matter what your play style is, you’re bound to find multiple characters you like. 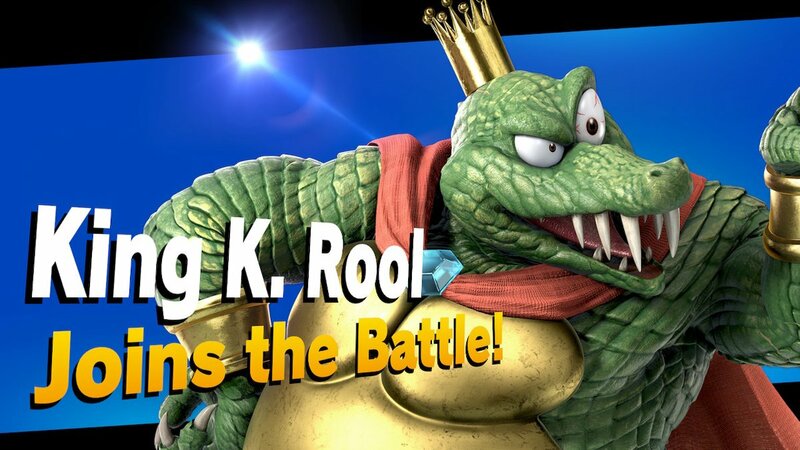 I personally have quickly become a King K. Rool man (hey, if Super Mario RPG isn’t represented, I’m going with my other favorite SNES title, DKC2). 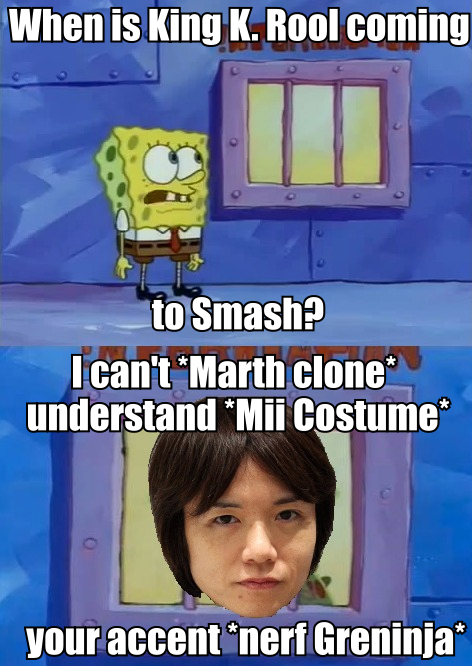 All in all, I find myself having trouble putting Super Smash Bros. Ultimate down. In a weird way, it doesn’t feel quite as “massive” as the past few entries in terms of what it adds compared to what came before, but it does feel better. 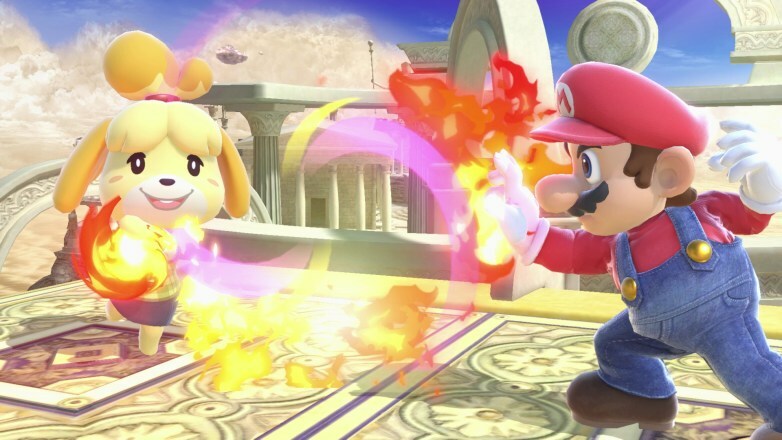 It takes the best bits and pieces of past Super Smash Bros. games and makes something that feels like one of those ‘special’ Nintendo releases on par with Breath of the Wild or Super Mario Odyssey. But seriously, can we please get Geno? 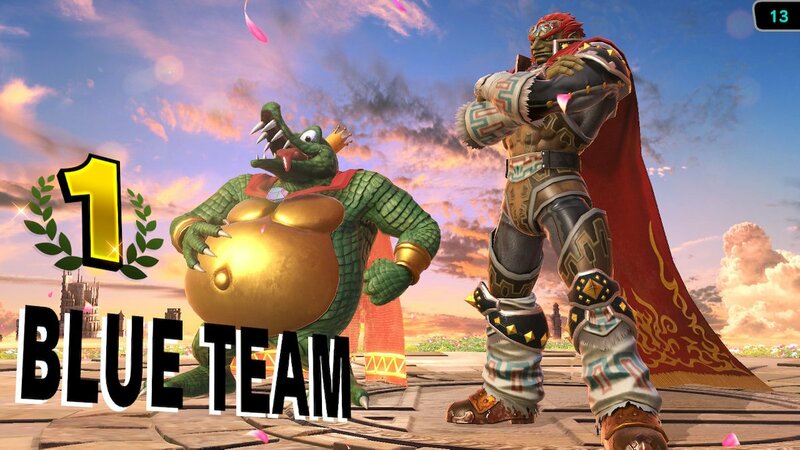 Author themancalledscottPosted on July 13, 2018 July 13, 2018 Categories Nintendo Switch, Uncategorized, Video GamesTags Geno, King K. Rool, Nintendo, Nintendo Switch, Ridley, Super Smash Bros., Super Smash Bros. Ultimate3 Comments on What Super Smash Bros. 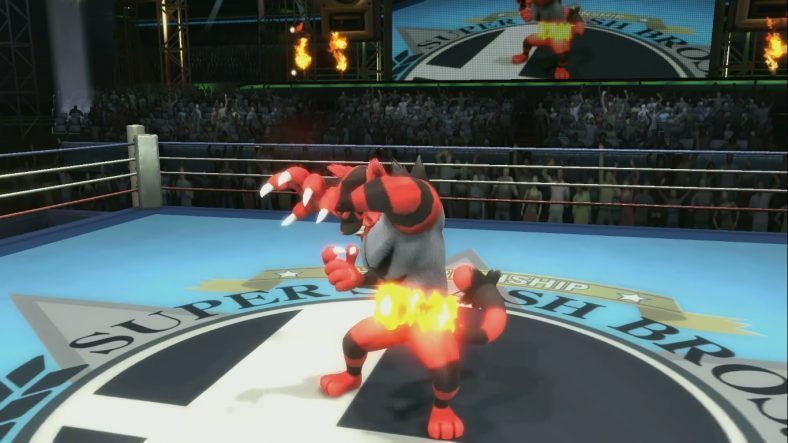 Ultimate Needs to do to Actually be the Ultimate Super Smash Bros. The Switch’s iteration of Super Smash Bros. has been revealed as Super Smash Bros. Ultimate! So far, from what I’ve seen and the little I’ve played, it seems like a refinement of the franchise. It’s faster paced like Melee, but looks to incorporate the sense of balance from the Wii U version. 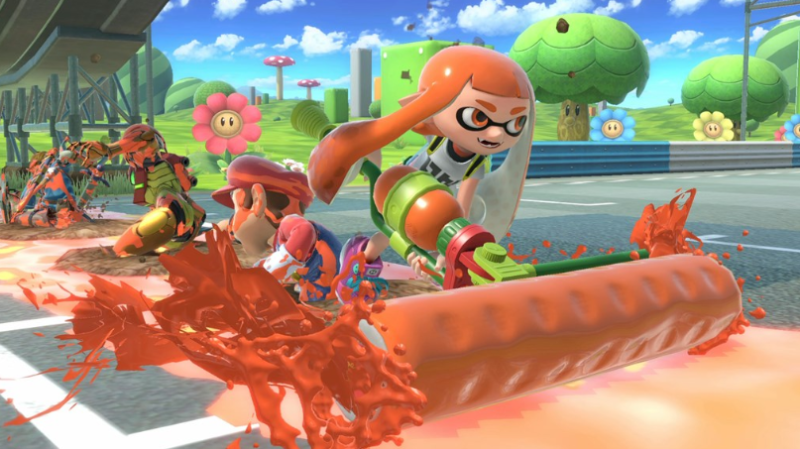 Despite Nintendo’s overall lackluster E3 Direct, Super Smash Bros. Ultimate looks to please its loyal fanbase, and then some. But is that really what anyone wanted? Sure, Ice Climbers and Solid Snake had plenty of support to make a return, but did anyone really want characters like Pichu and Wolf O’Donell to make a comeback? Don’t we have enough clones as it is? Speaking of clones, that brings us to another source of concern: Sakurai has given clone characters the official name of “Echo Fighters.” The problem with this is that the fact that clones nw have an official label could imply that Ultimate is doubling down on clone characters. 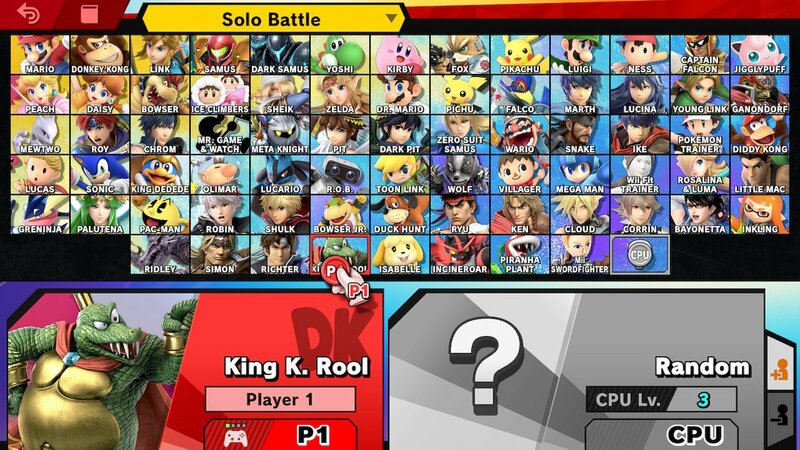 I know, a lot of people like to claim that “clone characters don’t take up much data, and so they aren’t getting in the way of anyone else.” Maybe, but if you ask me, I’d rather see a smaller roster with unique characters than a large roster filled with half-assed, copied-and-pasted clones. 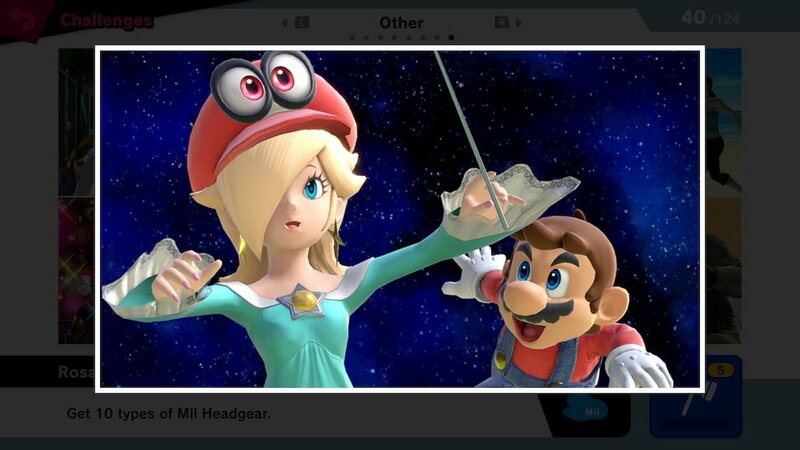 The reason why I’m concerned about this (other than the fact that the clone characters are already just lazy additions) is that, with the Inklings from Splatoon and Metroid’s Ridley being the only completely new characters announced for the new game, along with the grim promise that there won’t be too many new additions, this could mean that most of the potential new characters could just be clones. And who the hell wants that? Things get worse, however, with the revelation of the first new “Echo Fighter” in Super Smash Bros. 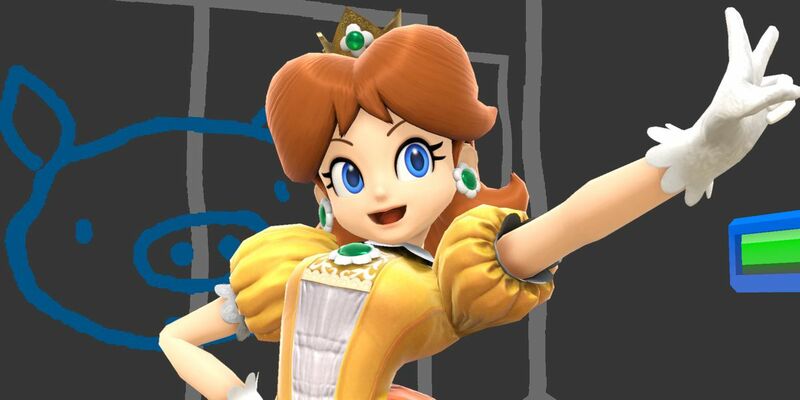 Ultimate is none other than (oh lord, give me strength)… Princess Daisy. Ouch! It hurts just to type that. Look, I understand that Ridley was one of the most requested characters for years, and Splatoon is Nintendo’s biggest new franchise, but Daisy? I don’t know, seems like we’re scraping the bottom of the barrel here. And yeah yeah, once again “clones don’t use up a lot of data,” but when they start stacking up clone after clone, the roster just feels watered down. Now, part of me isn’t too disheartened with the idea of only a handful of new characters (I remember when Melee first showed off Bowser, Peach, Zelda and Ice Climbers as new additions, and I didn’t mind it when I thought they were the only new additions to Melee). But, if we do see only a handful of new characters, and most of them are just going to be clones, it would feel like a waste. And don’t even get me started on Bomberman being relegated to an Assist Trophy while Princess Daisy makes the roster. That’s just insulting. 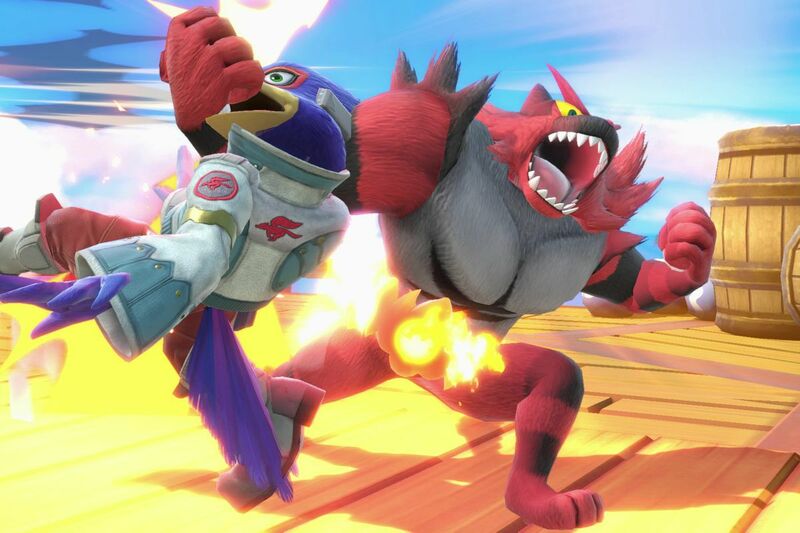 I hope I don’t sound overly negative, because I love Super Smash Bros., and from what I played of Ultimate at E3, it looks to be excellent. 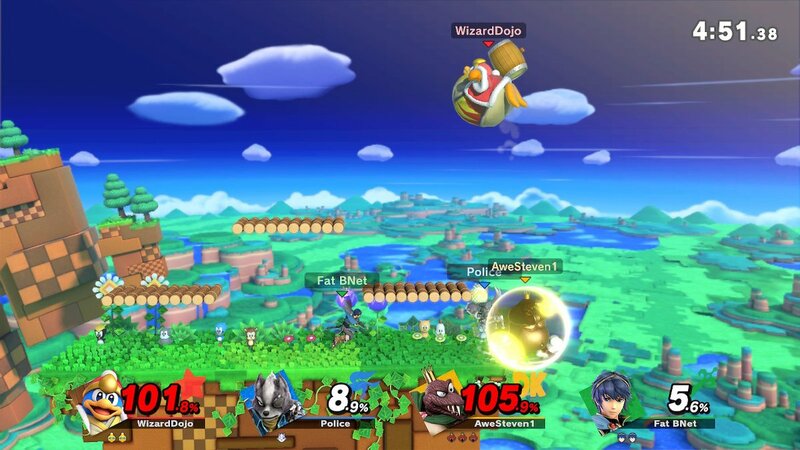 But while it looks like Super Smash Bros. 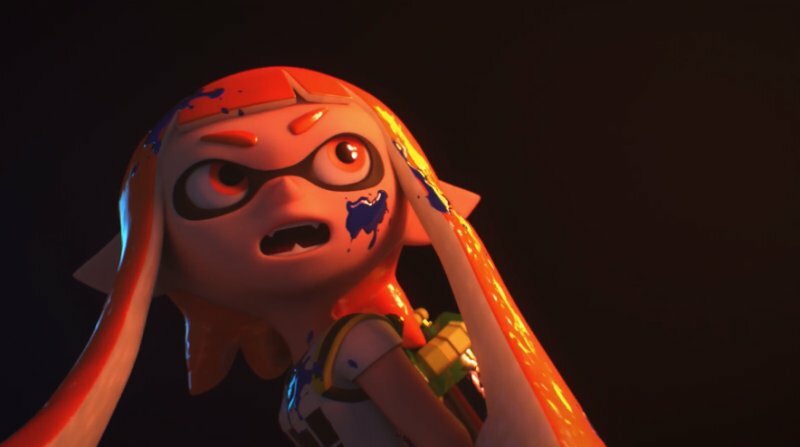 Ultimate may refine the series’ mechanics and competitive nature, it runs the risk of diluting the experience with an overtrumped roster largely comprised of characters who lack uniqueness. I mean, this is a series built on Nintendo’s illustrious history and peerless catalogue of video game icons. I’d hate to see it simply decide to settle on the quick and easy alternatives in place of meaningful additions. 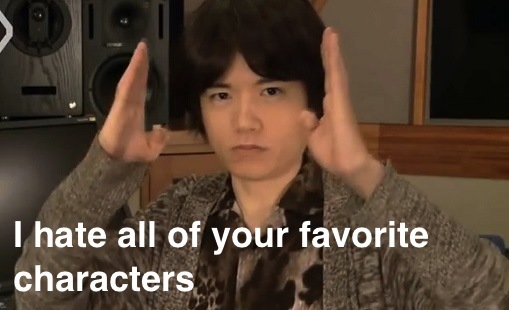 Sakurai is known for asking his fans to “just be happy.” But if we’re getting a bunch of throwbacks and cookie cutter additions at the expense of worthwhile newcomers, it makes it kind of difficult. 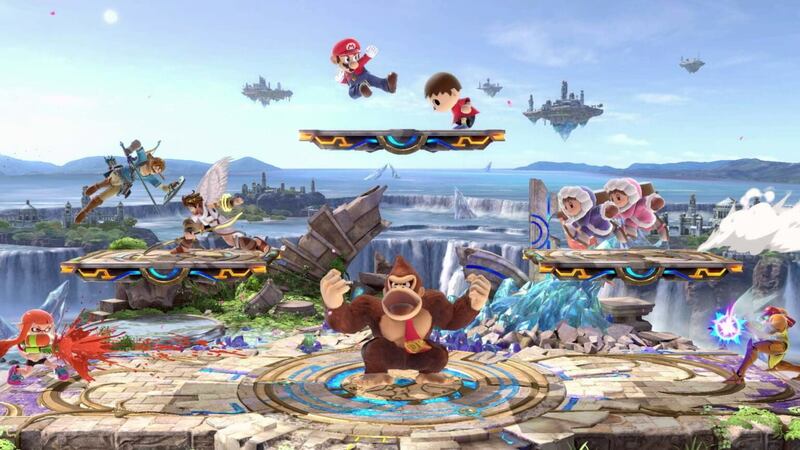 But seriously, just give me Geno and Dixie Kong and I’ll take it all back and love it 100% LOL. Can you believe it? A new Super Smash Bros. is on the way to the Nintendo Switch this year! Man, we didn’t need to wait seven years this time! Now, of course, is the time when fans start to express what they hope to see in the newest entry in Nintendo’s crossover super-franchise. And although I usually try to refrain from getting too hyped about a game with so little information to it, when it comes to Smash Bros. I have to have a little bit of fun.